Methadone is primarily used to help with withdrawal from opioid addictions, but being an opioid drug itself, it does have the potential to be addictive. Those who take the drug as part of an opioid replacement therapy programme may be at risk of developing a physical dependence, but addiction is unlikely. Nevertheless, when the drug is abused, the risk of addiction is raised significantly. Methadone abuse is characterised by taking more of the drug than advised or using it without a prescription. Methadone is a synthetic opioid drug initially developed in Germany to help solve their opioid shortage problem at the time. When it was introduced to the US market in 1947, its use as a treatment for opioid dependence became more widespread. Although primarily used as a treatment for those addicted to other opioid drugs, methadone itself also has the potential to cause addiction. It is a synthetic drug originally developed as a pain reliever. Although it is sometimes used as part of an opioid rotation programme in the treatment of chronic long-term pain, it is typically used for the long-term maintenance therapy in heroin addiction or during detoxification to help with the withdrawal from other opioid drugs. One of the biggest problems of using methadone for maintenance therapy is that many individuals go on to develop an addiction to it. In effect, many heroin addicts simply swap their addiction to heroin for an addiction to methadone. Methadone acts on the same opioid receptors as other drugs such as heroin and morphine, but it does not induce the same degree of high. This makes useful when it comes to lessening the impact of opioid withdrawal. So when methadone is used during heroin detox, the acute withdrawal symptoms associated with heroin withdrawal are typically avoided. Methadone not only helps to reduce the psychological and physical discomfort, but it also induces feelings of relaxation, contentment, and warmth; it is for this reason the potential for abuse exists. How Can Methadone be Addictive? 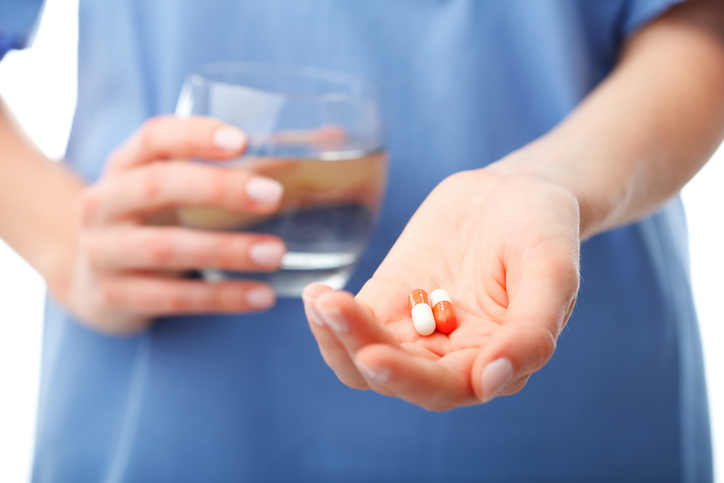 Taking methadone regularly can result in an increased tolerance to its effects. This also occurs if methadone is being taken with the sole aim of getting high. Increased tolerance means requiring higher amounts of the drug to achieve the same high or level of satisfaction when initially taking the substance. Over time, you are likely to develop a dependence on methadone, which means that you will experience withdrawal symptoms if you try to stop using it. You should also know that when methadone is used for recreational purposes, there is a much higher risk for addiction. The presence of withdrawal symptoms that are relieved with more methadone use easily means that users get caught in a cycle of abuse that is difficult to break. Although addiction can also occur when methadone is used as part of an opioid replacement programme, it is less likely in this situation as you would be carefully monitored by a doctor. The idea behind using methadone for the treatment of opioid withdrawal is that it will be reduced over time until you are no longer using any opioid drug. Methadone is a long-acting drug that can suppress pain for up to 24 hours. Methadone is available in tablet or liquid form. Methadone induces similar feelings to other opiates including feelings of wellbeing, sedation, and euphoria. The drug is taken orally and is absorbed into the system through the liver and intestines. Methadone is available illegally but because it is not regulated, there is no way to know how pure it is. Street methadone can be much more powerful than that provided by a doctor, which increases the risk of overdose. 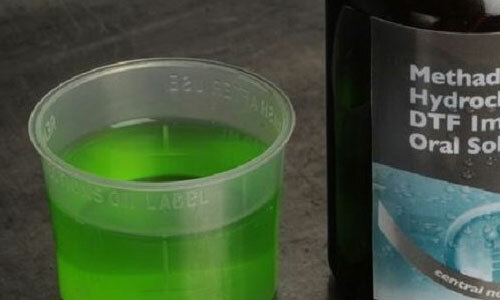 It is extremely dangerous to mix methadone with alcohol or other sedative substances; doing so can result in fatal consequences arising from issues such as respiratory failure and cardiac arrest. Methadone is a Class A illegal drug. Possession of it can result in a prison sentence of up to seven years. Supplying methadone to another person, even giving it to someone you know for free, could result in an unlimited fine, and/or life imprisonment. Opiates are powerful drugs that are typically prescribed for use in the treatment of mild to severe pain. 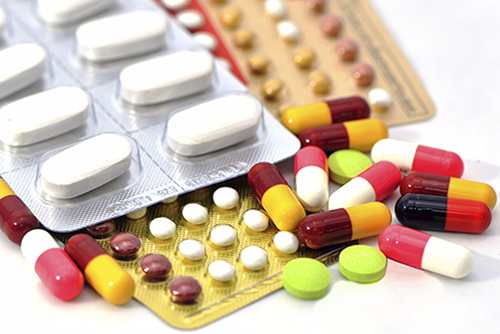 They tend to be prescribed for those with conditions that do not respond to typical over-the-counter painkillers. Opiates contain chemicals that relieve pain and relax the body. They are central nervous system depressants, which means that they have the ability to slow down various physiological functions while at the same time relieving both physical and psychological pain. When used as directed by a doctor, opiates are considered both safe and effective. They are highly addictive and have a high potential for abuse. While opiates can treat mild to severe pain, they are usually prescribed for pain that is classed as moderate to severe only. They might be prescribed in the treatment of acute or chronic pain, but it is recommended that their use for chronic pain be limited due to their addictive nature. For acute pain associated with trauma or a surgical procedure, opiates are a highly effective painkiller. As far as chronic pain is concerned, it is typically recommended that they only be used for terminal conditions or degenerative illnesses, like cancer or rheumatoid arthritis. While methadone is primarily used in the treatment of opioid addiction, its sedative effects make it attractive to those looking for a way of getting high. Methadone does not produce the same euphoric effects as some drugs such as heroin for example, which is that which makes it an effective substitution drug in the treatment of heroin addiction. However, the drug can induce a high when used recreationally. When methadone is prescribed for long-term use, it can be very difficult to tell when normal use has become abuse. Nevertheless, it is usually indicated by a need to increase the dose. For example, after taking methadone for a while, you may notice that its effects have become less effective (or enjoyable, if taken recreationally. As with other opioid drugs though, it is highly likely that in this situation you will develop a tolerance to the effects of methadone. Those abusing it for recreational purposes may end up trying to chase the initial high by increasing the amount of the drug that they take. Tolerance will result in physical dependence and withdrawal symptoms when then trying to quit or cut back on use. Just so you know, using more methadone than prescribed by a doctor, or using it without a prescription, is classed as prescription drug abuse. As the brain gets used to methadone, it alters its response to the substance and the drug will become less effective. In effect, the brain learns to rely on methadone and the body’s subsequent ability to deal with pain by itself will be diminished. It is very common for a tolerance to methadone to occur with prolonged use. When this does happen, you might feel as though you are not achieving the level of satisfaction that you were when you first started taking it. Having a tolerance to methadone does not mean that you are physically addicted though. A physical addiction is signified by the presence of withdrawal symptoms when you stop taking the drug. When taken in high enough doses, methadone can be extremely physically addictive, meaning that at this stage your body learns to rely on the substance for ‘normal’ functioning. If you then try to stop taking it, you are likely to feel quite unwell. 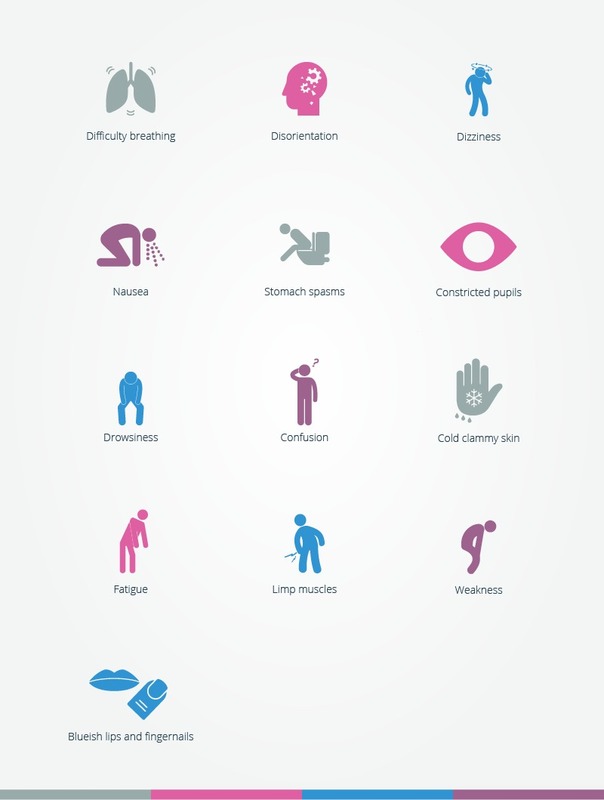 As your body attempts to function without the drug, a variety of symptoms will occur. Many users realise quite quickly that taking more methadone will help to relieve the symptoms they are experiencing, and it is this that leads to the subsequent cycle of abuse. When it comes to the treatment of opioid addiction and withdrawal, methadone is one of the most commonly used substitute drugs. According to the World Health Organisation (WHO), ‘Kyrgyzstan’s Methadone Substitution Therapy Programme has proved effective in reducing illicit drug use, risk behaviour (needle and syringe sharing) and criminal activity’. The basic idea behind methadone substitution is that it allows individuals to quit a specific opioid while remaining healthy. When administered for the treatment of heroin addiction, for example, methadone lessens the impact of withdrawal. Just as a point of interest, methadone maintenance treatment is regarded as the most effective way of treating opioid dependence by WHO. A methadone addiction can lead to a continuous need for the drug, but this can then lead to an increased risk of overdose. As your tolerance for methadone grows, you might be tempted to increase the dose, or you might believe that mixing it with another substance such as alcohol will enhance its effects and provide the relief you desire. This is extremely dangerous and can lead to fatal consequences. Methadone addiction can also have a negative impact on both physical and psychological well-being. Continued abuse of this drug can harm the quality of life and can damage relationships beyond repair. Methadone can also cause structural changes in the brain when used over an extended period. Studies by the Norwegian Institute of Public Health found that treatment of addiction with methadone can lead to damaged nerve cells within the brain. The researchers involved in the study were following on from previous studies that found methadone affects cognitive functioning in both experimental animals and humans. For this study, they used lab rats and gave them a dose of methadone every day for a period of three weeks. They then studied the areas of the brain responsible for memory and learning. They found that there was around a seventy per cent reduction in an important signal molecule in the rats’ frontal lobe and hippocampus areas. The changes were noticed even after methadone was no longer present in the brain, which indicated that the use of the drug caused cellular changes. Methadone addiction does not just have negative consequences for mental and physical health, however. Just as with any other addiction, methadone addiction can have a negative impact on your relationships those around you. As your need for the drug grows, you will become consumed by it and are likely to lose interest in anything else. Your ability to take care of commitments and responsibilities will be diminished, which is almost certainly going to cause tensions in your relationships. Overdose is a very real cause for concern among methadone users. As mentioned a few times already, a tolerance to the drug can develop quite quickly, which tends to cause some users to increase their dose. What most people do not realise or fail to comprehend though is that taking high doses of methadone is extremely dangerous. Taking more methadone than advised by a doctor is classed as abuse, and while some individuals do this accidentally, others intentionally take more than they should without fully realising the implications of their action. Some even combine methadone with other sedative substances such as alcohol, other opiates, or benzodiazepines, again failing to understand the dangers involved. As methadone works by depressing the central nervous system, taking too much or taking it with another sedative substance can have profound consequences. If you experience any of the above symptoms after taking too much methadone, it is important to seek medical attention immediately. Failure to get help can result in respiratory failure, coma, and even death. You now know that increased tolerance to methadone increases the risk for overdose as it often leads people to take more of the drug than they have been advised to. Those who abuse methadone for recreational purposes are also at substantial risk for overdose as they do not know how much of the drug is safe to take. Recreational users of methadone are also more likely to be taking a street version of the drug; as there is just no way to know how strong this is, the risk of overdose is extremely high. Overdose risk increases when methadone is combined with other sedative substances. Many people just do not appreciate the dangers of combining substances, but it is often this very thing that leads to fatal overdoses. A study published in the British Medical Journal looked at the risk of fatal poisoning by methadone or buprenorphine within England in Wales. It was noted that there had been a total of 2,366 methadone-related deaths during the period 2007-2012. This was in relation to 17,333,163 methadone prescriptions that had been issued during this time. The results of the study found that buprenorphine was six times safer than methadone in terms of overdose risk. If you have been abusing methadone and now need more of it to achieve a certain level of satisfaction, it is likely that you have developed a tolerance. If you have been taking higher doses of the drug and your use has started to have a negative impact on daily life, you have probably developed an addiction and will need professional help to get better. You should also seek medical care immediately if you have taken too much methadone, either accidentally or intentionally, and you experience any of the signs of overdose as described above. Methadone is available under the following brand names: Dolophine, Methadose, Diskets dispersible, Methadone HCI Intensol. There are many reasons methadone is abused. It could be to intentionally get the sedative effects that the drug induces, although most people do actually abuse the drug unintentionally. Due to the way in which tolerance to methadone can occur quite quickly, there is always going to be a temptation to increase the dose. While there is no single cause of methadone abuse, there are certain factors that make it more likely for one person to abuse methadone. For example, having a family history of addiction and substance abuse increases the risk of you becoming an addict yourself. A family history of mental health problems is also a risk factor, as is unresolved emotional trauma. 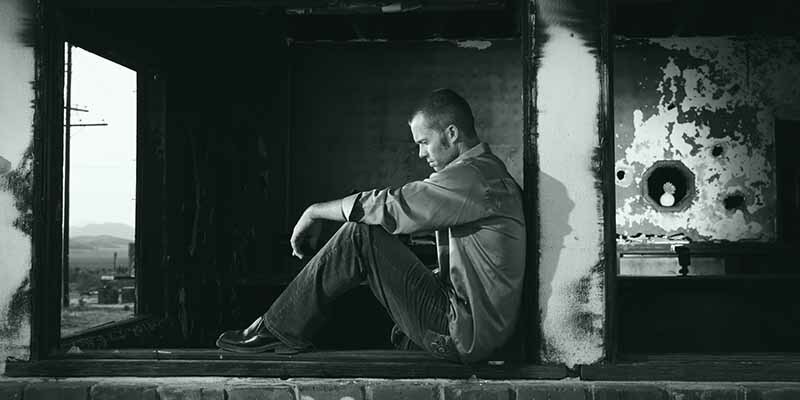 Substance abuse often occurs among those trying to get relief. It may be that they are suffering from a mental health problem and that a drug such as methadone is helping to relieve the symptoms associated with it. Alternatively, they might be trying to block out painful memories associated with a past event. According to the WHO, there are around 16 million users of illicit opioids across the world. This equates to around 0.4% of the total world population of 15 to 64-year olds. Methadone use is regarded as one of the most effective methods of treating opioid addiction, but only around 10% of those who need treatment are thought to be accessing it. Despite having one of the highest rates of opiate abuse in the world, methadone substitution therapy is forbidden by law in Russia. In 2014, pharmacists in Scotland were paid £17.8 million for handling almost half a million methadone prescriptions. Dr Neil McKeganey from the Centre for Drug Misuse Research said the annual outlay paid to pharmacists for handling methadone prescriptions shows that users are ‘parked on the drug’. In 2015, it was estimated that around 22,000 Scots were taking methadone as a heroin replacement. In 2013, figures from the National Records of Scotland showed that methadone was indicated in almost the same number of deaths as heroin. Substance abuse and mental health disorders are intricately linked, with one often being the catalyst for the other. Some individuals turn to methadone to relieve the symptoms of an existing mental health problem such as depression, post-traumatic stress disorder, or anxiety. Others will develop a mental health disorder such as anxiety or depression because of their long-term abuse of methadone. Co-occurring disorders make it difficult for treatment providers as it can be a struggle to try to determine which symptoms are related to which condition. It is therefore crucial that treatment for both conditions occurs at the same time. Methadone is sometimes mixed with other substances by those who want to enhance its effects. But doing so is extremely dangerous, particularly when the other substance being abused also has a sedative or depressant effect on the central nervous system. Combining methadone with a substance such as alcohol, barbiturates, benzodiazepines, and other opioids can have disastrous consequences. As these drugs tend to enhance the effects of each other, there is a risk of an overdose resulting in serious complications, including respiratory failure and death. Methadone also interacts with other drugs in different ways. For example, some drugs can cause faster metabolism of methadone, which means that a higher dose may be required by the user to get the desired effect. There are also drugs that can slow down the metabolism of methadone, resulting in side effects. 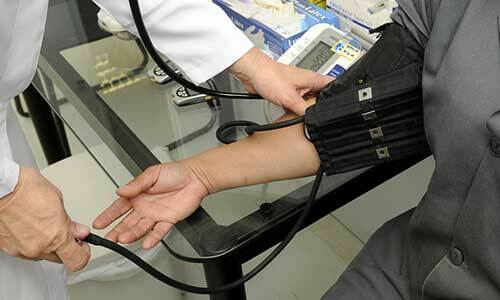 It is necessary, therefore, for doctors to be aware of any drugs one is taking before being prescribed methadone. As with all opioid withdrawals, detoxing from methadone can be very unpleasant and it is likely that you will experience symptoms such as (among many others) muscle cramps, nausea, and vomiting. These symptoms can be eased with buprenorphine. This is typically administered instead of methadone and will then be reduced gradually until you are drug-free. Treatment for methadone addiction is not just about quitting the drug though. As well as breaking the cycle of methadone abuse, you will also have to learn how to live without it going forward. 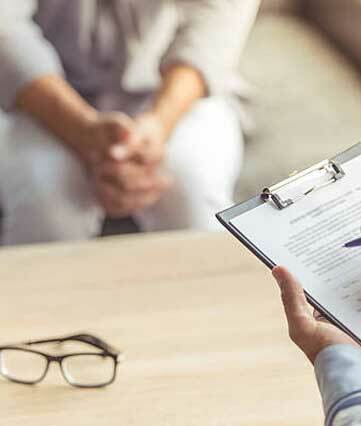 Inpatient and outpatient treatment programmes are available for the treatment of methadone addiction and deal with the emotional and psychological issues relating to the illness. Detox is usually the first step on the road to recovery from any substance addiction; it is no different for methadone addiction. Detox programmes are necessary to help break the physical cycle of abuse; detox begins when you stop taking the substance to which you are addicted. During detox, your mind and body will set about healing themselves by expelling all traces of methadone. As they do this, however, you are likely to experience a range of withdrawal symptoms. The impact of withdrawal can be minimised if you detox under careful supervision in a dedicated detox clinic. As your body learns to adjust to functioning without methadone, you are likely to experience symptoms that many have likened to having the flu. In a dedicated detox facility though, these symptoms can be effectively managed to lessen their impact and possibly even prevent some of them from manifesting. Breaking the cycle of abuse with detoxification is an important part of the recovery process for methadone addiction, but it is not the only one. Once your mind and body are clear, you will need a programme of rehabilitation to tackle the underlying emotional issues associated with your addiction. Learning the cause of your addictive behaviour is important, but it may require a series of therapy sessions. During rehab, you will also learn how to move on to a substance-free life by working out what your triggers and cues are and then developing ways to avoid temptations going forward. How can I spot methadone addiction? It can be tough to spot a methadone addiction in yourself, particularly if you are using it for long-term maintenance of a different opioid addiction. In many cases, it is only when someone attempts to quit methadone that he or she realises that they are unable to. 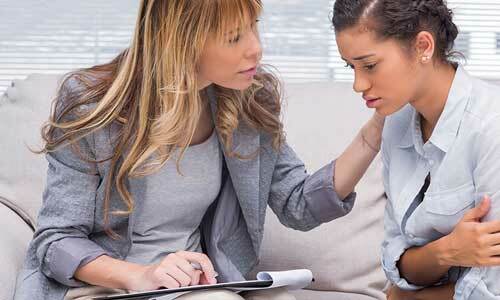 What is the goal of methadone addiction treatment? Overcoming a methadone addiction is the only way to get your life back on track if you have been affected. Treatment is designed to help you break both the physical and psychological addiction. During treatment, you will quit methadone and learn various methods to utilise on your return to normal life in an effort to avoid a relapse. How bad is methadone addiction? Like an addiction to any other substance, methadone addiction can be harmful to health and overall well-being. Long-term use of this drug can have many negative consequences for both your mental and physical health. However, it can also impact on your relationships and your prospects for the future. How to cure methadone addiction? Those who have developed an addiction to methadone might be interested in knowing how it can be cured; the reality though is that addiction is not a curable illness. Fortunately, it is possible to overcome methadone addiction, and with continued vigilance and maintenance, you can go on to live a permanent substance-free life. How to help someone who is addicted to methadone? If someone you love has been using methadone for medical or recreational purposes and you are worried that he or she has developed an addiction, it is important to take action as soon as possible. Addressing the issue with the individual in question might be something you are keen to avoid, but unless you do this, he or she is unlikely to get well. You should know that many are in denial or are not yet ready to give up the substance that they have learned to rely on. If you are interested in learning about how you can help someone who is addicted to methadone, you can speak to your doctor for advice. You can also talk to us here at UKAT.